Painted Rock sits perched on a quaint spit of ledge rock, halfway between Lutsen and Grand Marais, on the edge of Cascade River State Park. 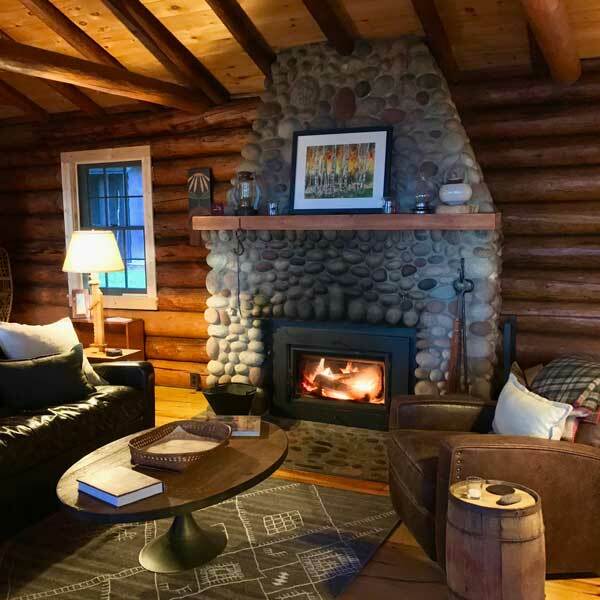 This original 1930 log cabin has been lovingly restored to celebrate all its original charm of bygone days, and updated with luxury amenities. 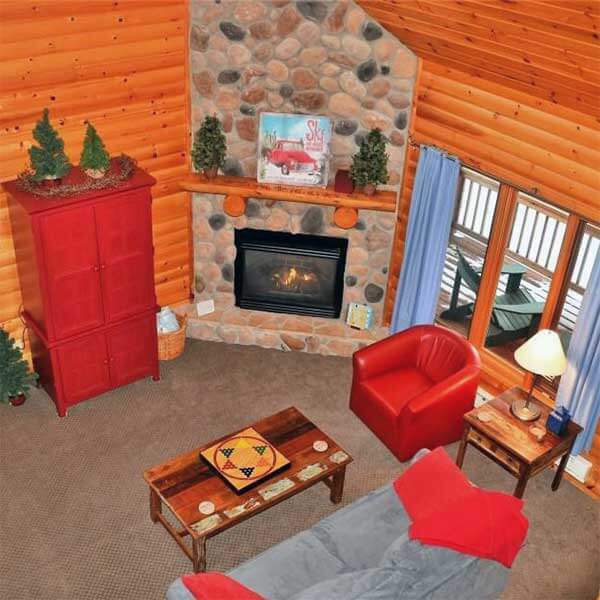 The Main Room is home to a wood-burning fireplace, dining table, game table, and picture windows that bring the Big Lake indoors in all seasons. Kitchen w/ dishwasher and gas range, 2 bedrooms w/ queen beds, bathroom w/ deep soaker tub and heated floors, and deluxe sleeper sofa in main room. 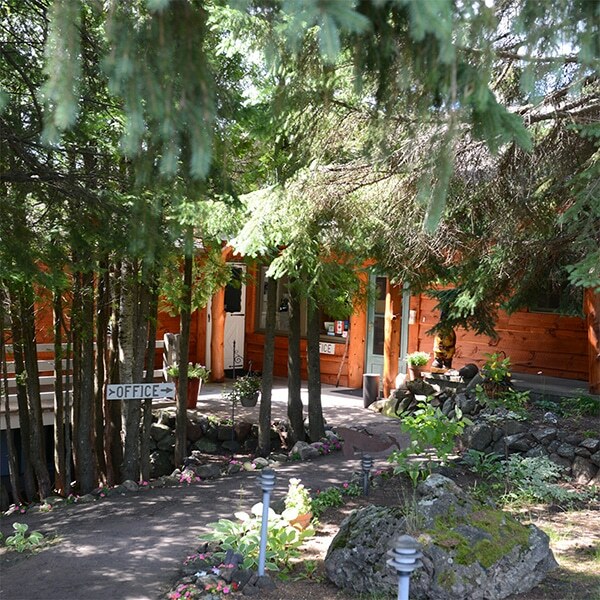 Lutsen’s cutest vacation home in a prime recreation area. Charming, comfortably furnished 3-bedroom, 2-bath home, sleeps from 2 to 8 guests. 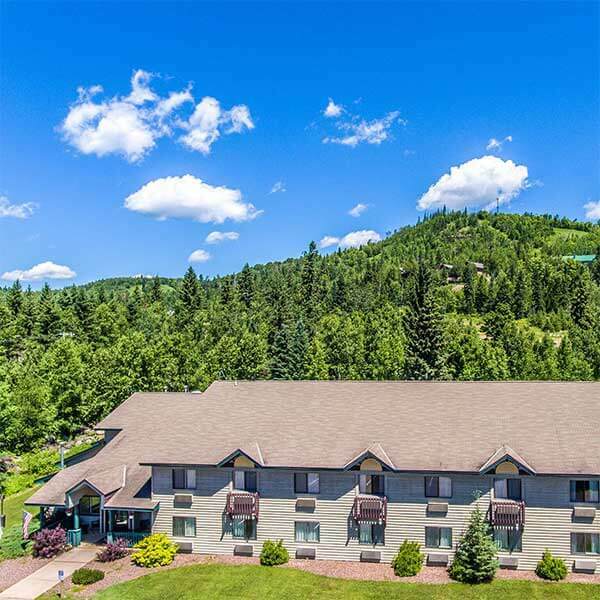 Lutsen Mountain’s ski hills, mountain biking trails and Alpine Slide, Superior Hiking Trail, Gitchi Gami trail, Superior National Golf Course, North Shore winery, cross-country and snowmobile trails and Lake Superior are all within a mile. 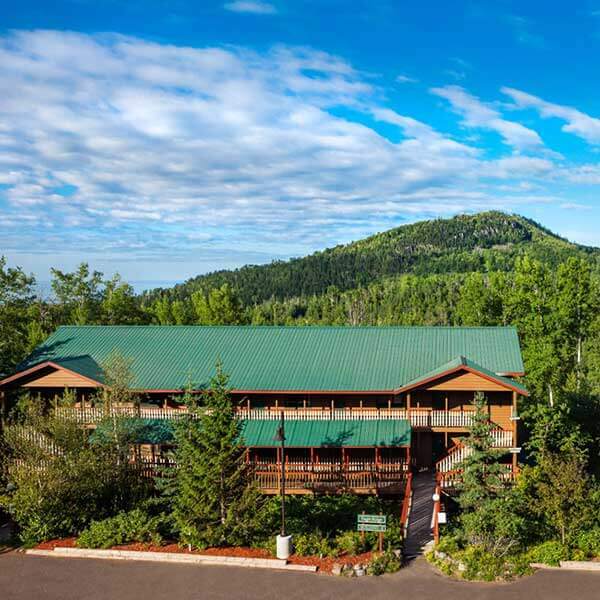 Set in Superior National Forest with no buildings behind it to block the view. 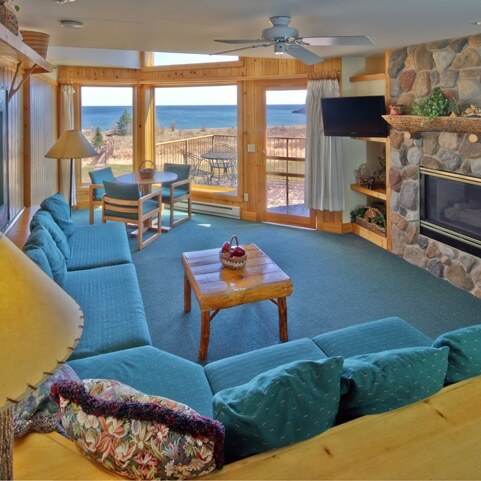 Every east facing window has a view of Lake Superior. The covered deck is ideal for watching the sun come up over the lake with morning coffee and the beautiful 3-season porch lets you enjoy the evenings bug free! Our fire ring is perfect for s’mores and stargazing, night skies are spectacular here. 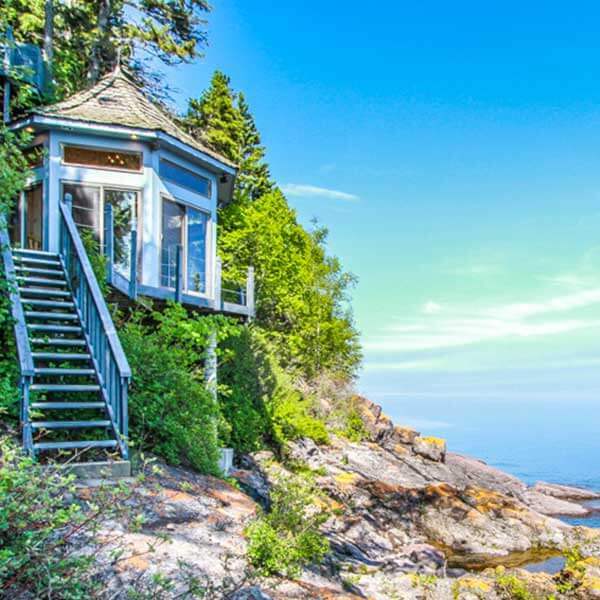 It’s the ideal vacation home for families and friends. 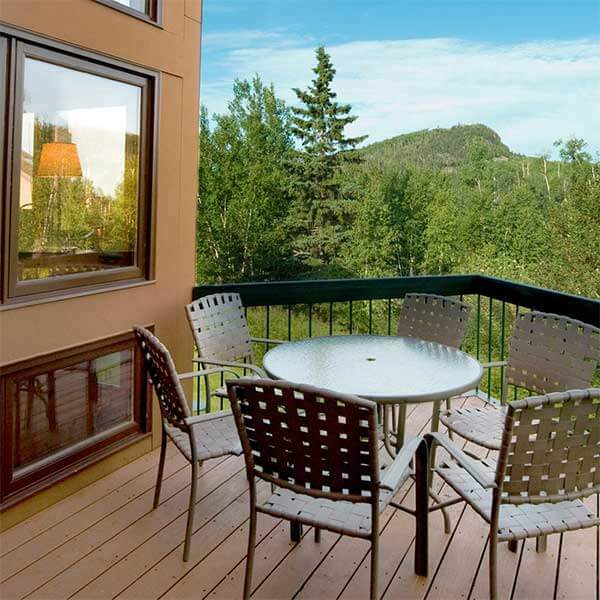 Close to everything you love about the north shore but away from the busy resorts. 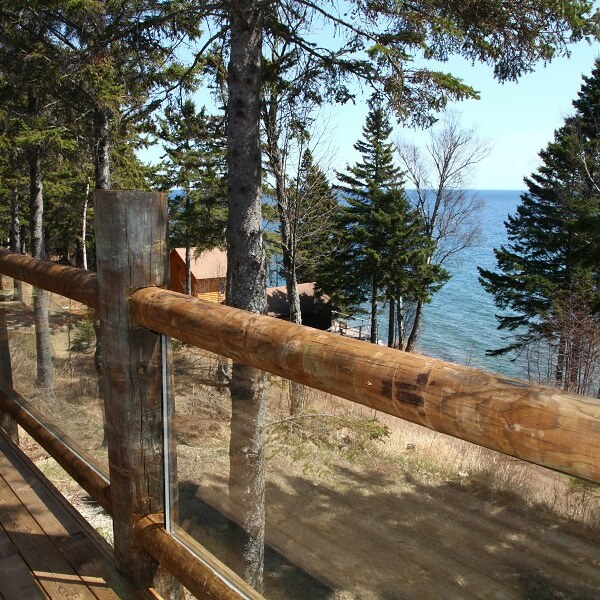 Come make some “up north” memories at Lutsen Solitude. Cedarwood Hollow is nestled right on the edge of a private cobblestone beach on Lake Superior on a quiet stretch of Cascade Beach Road – halfway between Lutsen and Grand Marais – and adjoins the boundary of the abundant Cascade River State Park, which is full of extensive trails stretching into the Sawtooth Mountains. 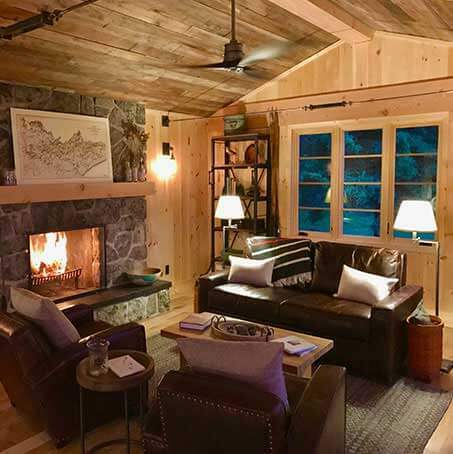 This authentic timber-frame chalet was completely renovated in early 2017 to retain all of its original charm, while updated with luxurious modern amenities. 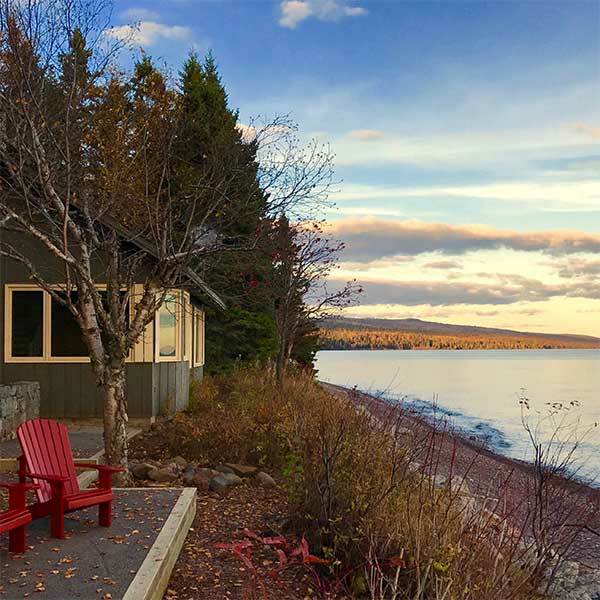 Offering an abundantly spacious layout, the Great Room is home to a wood-burning fireplace, dining table, game table, and picture windows so close to the Big Lake that it’s waves practically lap at your toes. Expansive kitchen w/ 48” pro-style gas range, 3 private bedrooms + additional sleeper-sofa, 2.5 bathrooms. 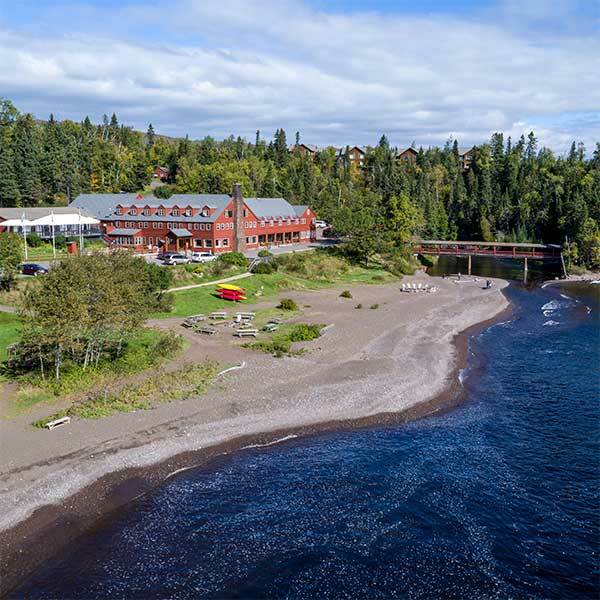 WoodSong sits perfectly nestled right on the shore of Lake Superior, as well as the edge of Cascade River State Park. This charming cabin is in the process of being completely renovated, using an attention to detail and abundance of creative design that is intended to capture the essence of Northwood’s magic. 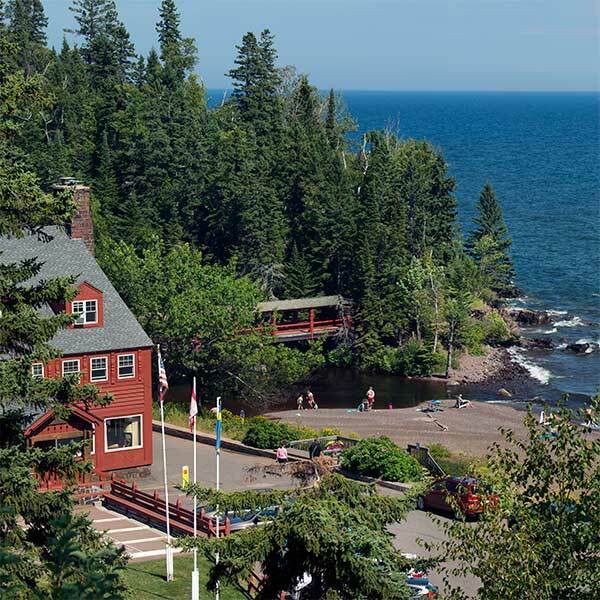 The main room has a wood burning fireplace, with views into the woods of Cascade Park as well as the endless water horizon of Lake Superior. But maybe the most unique part of WoodSong is its historic fish house, right down on the shore at water’s edge. One of the few surviving original fish houses of that bygone era, the WoodSong Fish House has been re-purposed as an enchanted covered patio – just beckoning guests to share a cup of coffee or glass of wine! Kitchen w/ dishwasher, pro-style gas range, 2 bedrooms with queen beds – each having private spa-style private bath with deep soaker tub. 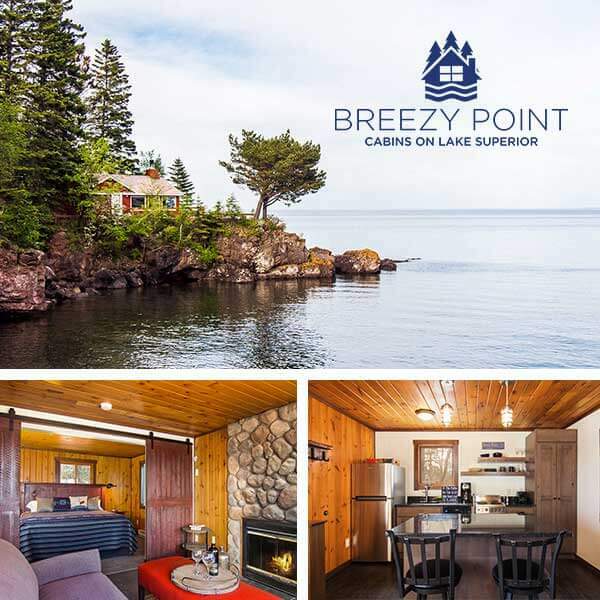 An eclectic selection of vacation homes on Minnesota’s North Shore, cabins and townhomes from Duluth to the Canadian border including Lake Superior and inland lakes. Large homes and Pet-friendly properties available. 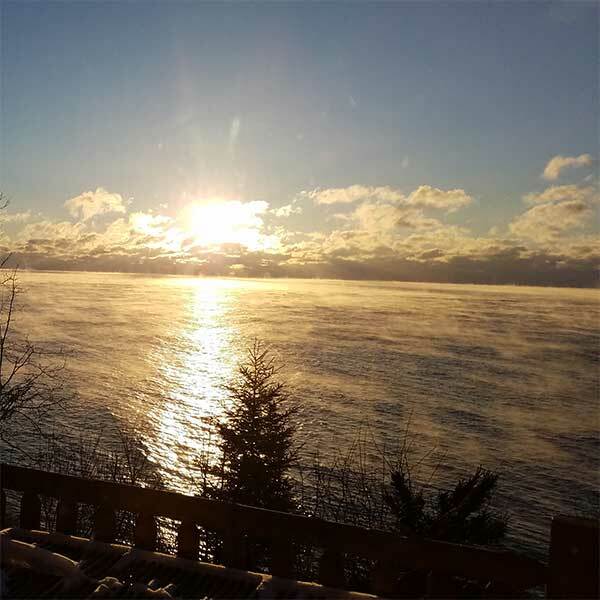 600′ of Lake Superior pebble beach. 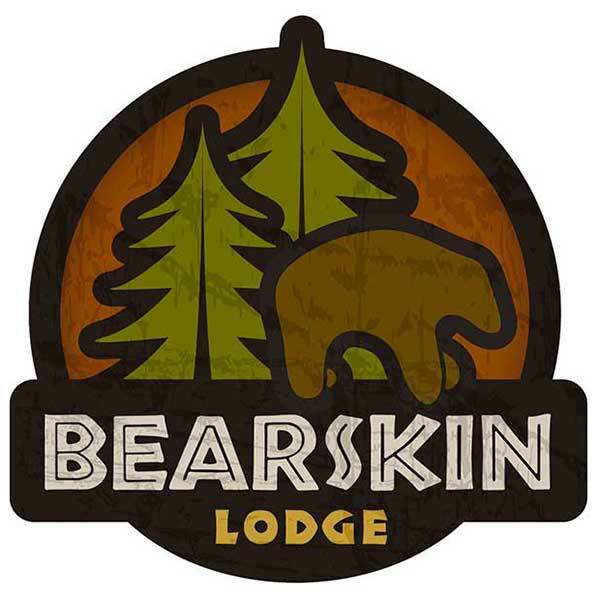 Sleeps 2-8; pet friendly. 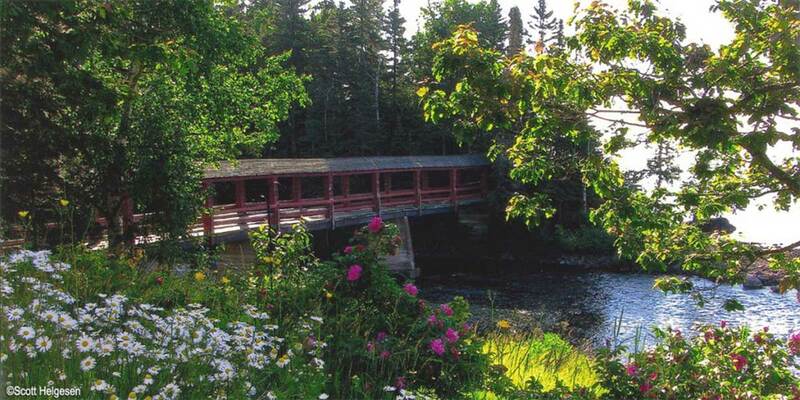 Direct access to the Gitchi-Gami bike trail. Only 8 minutes to Lutsen Mountains. Check availability and rates on website.